Clear View has manufactured a 10-pane bi-folding door for TMT Construction for a project they are working on in Hyde, near Stockport. Clear View work closely with local building companies and were contacted by TNT Construction to provide the large door for this home. TNT Construction were impressed with Clear View’s previous experience working on similar large projects and our knowledge and understanding of what was required. Clear View recommended an AluK GB BSF70 OUT Frame all around Standard in a 5 + 5 Bi fold arrangement. The total size of the door is 10646mmx2567mm and the door split in the 5+5 arrangement – 5 sliding to the left and 5 to the right, with no cill. The door is finished in RAL 7015 Matt finish and features silver door hardware. Furthermore, the glazing is 4mm toughened/20mm argon (black spacer) cavity/4mm toughened low-e inner to provide maximum efficiency. As with any large project, the fitting process was meticulously planned to ensure we did not disrupt other building works, or cause any damage to the door. 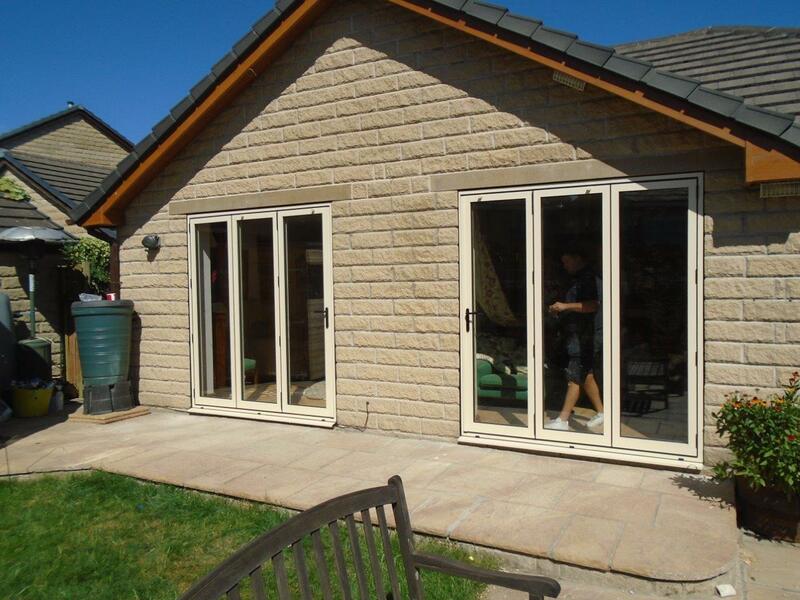 Once installed, the client commented how pleased they were with the finished bi-folding door and how much they believed it would enhance their lifestyle. 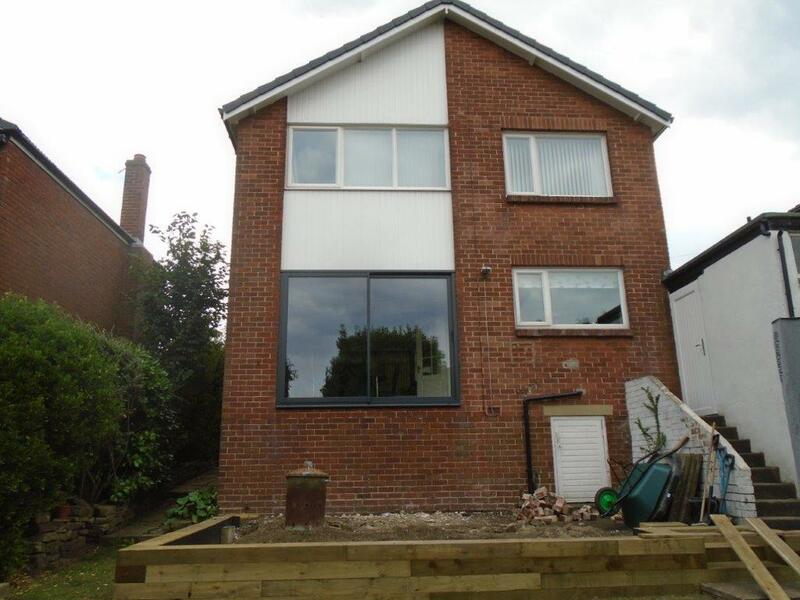 This project shows how Clear View can work on large domestic projects with the builder to provide a combined superb quality of finish for the client. 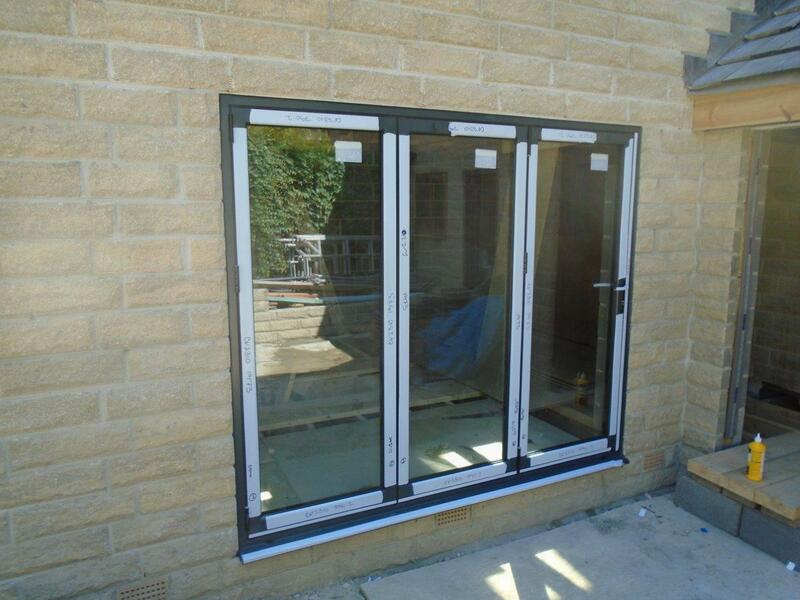 If you are thinking about adding bi-folding doors to your home, please do not hesitate to contact one of our team. We work across the whole of the UK, manufacturing from our base in Yorkshire and can provide the complete end to end solution.